In previous parts to this series on Dr. Alexander Elder's triple screen trading system, various oscillators have been discussed in relation to the second screen of the system. Two excellent oscillators that work extremely well within the system are force index and Elder-Ray; however, any other oscillators may also be employed. Part 5 of this series described stochastic in relation to the powerful signals formed by divergences between the power of bulls and bears in the market. In this section, we'll discuss one final oscillator that can be used as the second screen in the triple screen trading system: Williams %R. Williams %R The final oscillator that needs consideration in relation to its use as the second screen of the triple screen trading system is Williams %R, which is actually interpreted in similar fashion to that of stochastic. Williams %R, or Wm%R, measures the capacity of bulls and bears to close the day's stock prices at or near the edge of the recent range. Wm%R confirms the strength of trends and warns of possible upcoming reversals. The actual calculation of Wm%R will not be dissected in detail in this space, as its current value can be obtained through top trading software packages that are widely available today. In its calculation, Wm%R measures the placement of the latest closing price in relation to a recent high-low range. It is important to note that Wm%R requires at least a four- to five-day range of prices to work effectively with the triple screen trading system. Wm%R expresses the distance from the highest high within its range to the lowest low in relation to a 100% scale. The distance from the latest closing price to the top of the range is expressed as a percentage of the total range. When Wm%R is equal to 0% on the 100% scale, the bulls reach the peak of their power and prices should close at the top of the range. In other words, a zero reading, plotted at the top of the chart, indicates maximum bull power. When Wm%R reads 100, the bears are at the peak of their power and they are able to close prices at the bottom of the recent range. The high of the range is a precise measure of the maximum power of bulls during the period in question. The low of the range relates to the maximum power of bears during the period. Closing prices are especially significant in calculating Wm%R, as the daily settlement of trading accounts depends on the day's (or week's, or month's) close. Wm%R provides a precise assessment of the balance of power between bulls and bears at the market close, the most crucial time for a true feel for the relative bullishness or bearishness of the market. If we extrapolate this concept one level further, we see that Wm%R shows which group is able to close the market in its favor. If the bulls cannot quite close the market at or near the top during a market rally, the bulls are proven to be somewhat weaker than they appear. If bears cannot close the market near the lows during a bear market, they are weaker than they would appear on the surface. This situation presents a buying opportunity. Overbought and Oversold In an overbought condition, Wm%R rises above its upper reference line and prices close near the upper edge of their range. This may indicate a market top, and the Wm%R issues a sell signal. In an oversold condition, Wm%R falls below its lower reference line and prices close near the bottom of their range. This may indicate a market bottom, and the Wm%R issues a buy signal. During flat trading ranges, overbought and oversold signals work very well. However, when the market enters a trend, using overbought and oversold signals may be dangerous. Wm%R can remain near the top of its range for a week or longer during a strong rally. This overbought reading may actually represent market strength rather than the erroneous shorting signal that Wm%R would issue in this circumstance. Conversely, in a strong downtrend, Wm%R can remain in oversold territory for a long period of time, thereby demonstrating weakness rather than a buying opportunity. If your longer-term chart shows a bull market, take buy signals only from your shorter-term Wm%R, and do not enter a short position when it gives a sell signal. If your weekly chart indicates a bear market, sell short only when Wm%R gives you a sell signal, but do not go long when Wm%R becomes oversold. Divergences The final important situation in reading Wm%R relates to divergences between prices and Wm%R. Divergences rarely occur, but they identify the absolute best trading opportunities. A bearish divergence occurs when Wm%R rises above its upper reference line, then falls and cannot rise above the upper line during the next rally. This shows that bulls are losing their power, that the market is likely to fall and that you should sell short and place a protective stop above the recent price high. At long last, the next part of this series on the triple screen trading system will provide a discussion of the third screen in the system. The first screen of the system identifies a market tide; the second screen (the oscillator) identifies a wave that goes against the tide. The third and final screen of the triple screen system identifies the ripples in the direction of the tide. These are intraday price movements that pinpoint entry points for your buy or sell orders. 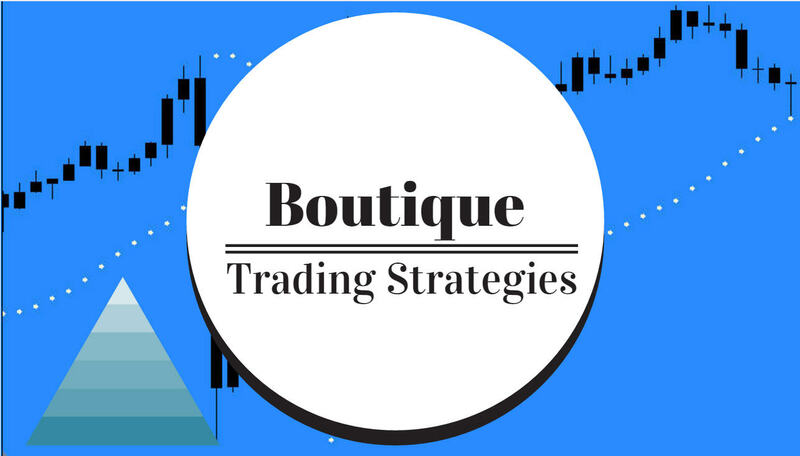 To catch up on previous sections of this series, check out Triple Screen Trading System - Part 1, Part 2, Part 3 and Part 4. Or move on to the third screen of the triple screen series in Part 7.